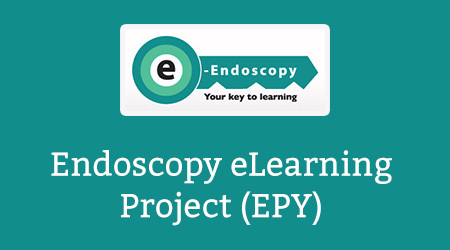 The Endoscopy e-learning programme is a free e-learning resource for Endoscopists. The interactive sessions of e-learning are designed to enhance and blend with existing teaching within Endoscopy and have been reviewed by JAG members. The Endoscopy e-learning programme is working on creating a link to automatically record completed sessions from the e-LfH Hub to your JET e-Portfolio. 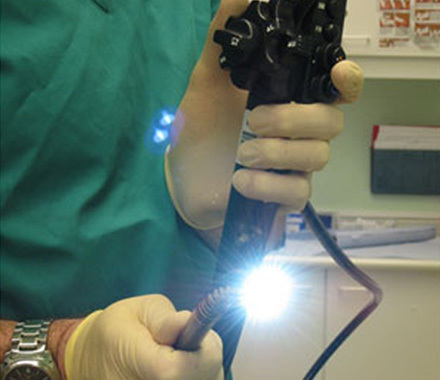 The Core Endoscopy courses form part of a wider aim to provide learning resources to address the knowledge-based competencies of endoscopists and endoscopy assistants. Health Education England e-Learning for Healthcare have partnered with the Joint Advisory Group (the JAG) to develop further learning resources that are linked to common therapeutic procedures such as polypectomy and the management of upper GI bleeding. It is intended that these resources will build over time to provide a catalogue of e-learning that can be accessed on demand. The Endoscopy e-learning programme offers knowledge based sessions covering a wide range of topics. The sessions feature graphics, animations, video and interactive exercises. Trainees can work through any session relevant to their specific needs, in any order they choose. If you already have an account with e-LfH, then you can enrol on to the Endoscopy programme by logging in to the e-LfH Hub, selecting My Account > Enrolment and selecting the programme. You can then access the programme immediately in the My e-Learning section.